Loaded mashed potato bowl - CHOMP! SLURRP! BURP! 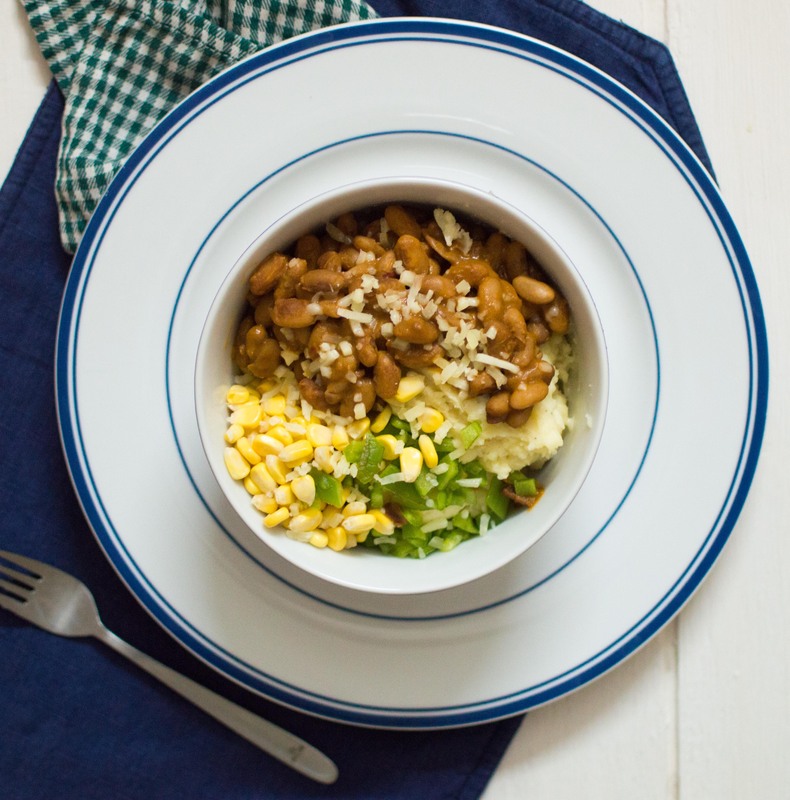 One fine evening, nothing exciting in the house and a Pinteresty inspiration – a Mexican loaded mashed potato bowl. The best thing about this meal is, everything is readily available in an Indian household. Tweaked it a little bit and used saucy beans instead of refried ones, taste much more exciting this way. Wash and peel the potatoes. Cut them in quarters, add 1/2 cup water and microwave for 6 minutes. Put the rajma in a pressure cooker, add fresh water and cook for 30 minutes. Meanwhile, wash and finely chop the capsicum. If you are using frozen corn, dip the kernels in water for 10 minutes. In a pan, add the butter, potatoes, garlic cloves and mash them on low heat. Add salt and pepper and mix. Add milk and continue to whisk till the potatoes come together and set aside. In a bowl, put the mashed potato asthe base, top a side with the saucy rajma, capsicum, sweet corn and top with grated cheese. Your mashed potato bowl is ready to be demolished.